1. 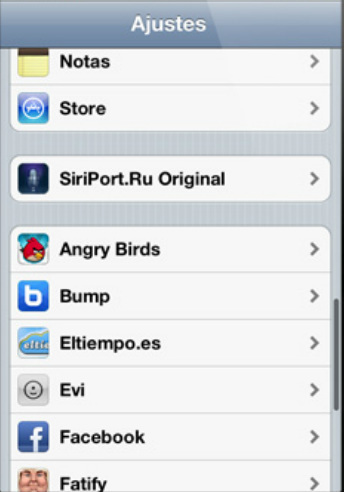 Open cydia and add a source " https://repo.siriport.ru "
2. 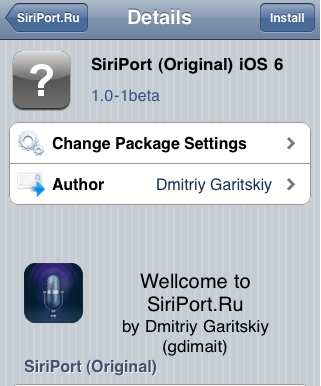 Open the source and find " SiriPort(orignal)iOS 6 " install it. 3. Now after it completes it will ask for a re-spring. Re-Spring your iPod. 4. 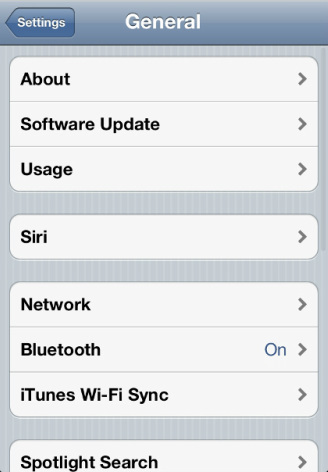 After it re-springs open settings and you will find a column of SIRI in General. DON'T MESS WITH THIS TAB LEAVE IT. 6. Now click on " Install Certificate"
7. Now click on "install"